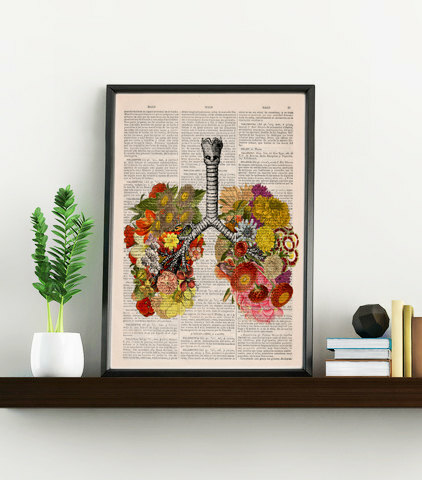 Specializing in colorful and quirky prints, PRRINT is an art shop with a sustainable side. 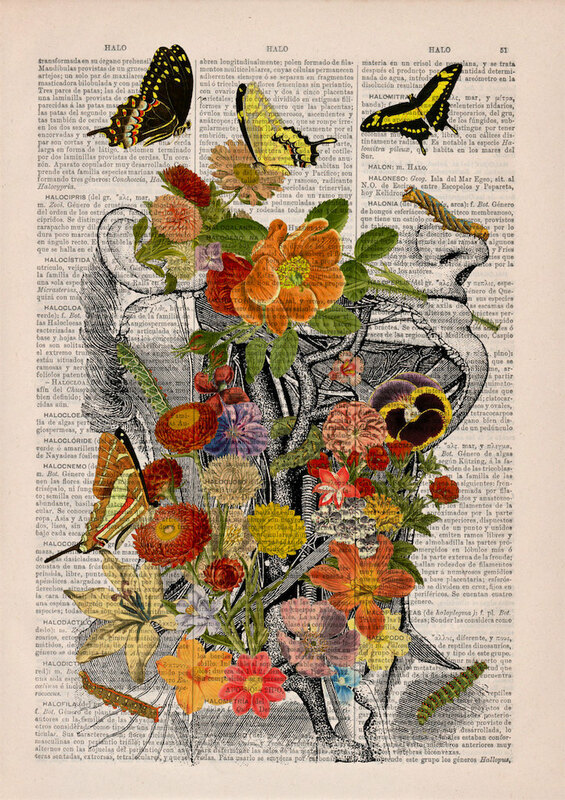 The company's founders pride themselves on their "environmentally friendly" products—namely, their popular pieces that are printed onto upcycled pages from vintage books. 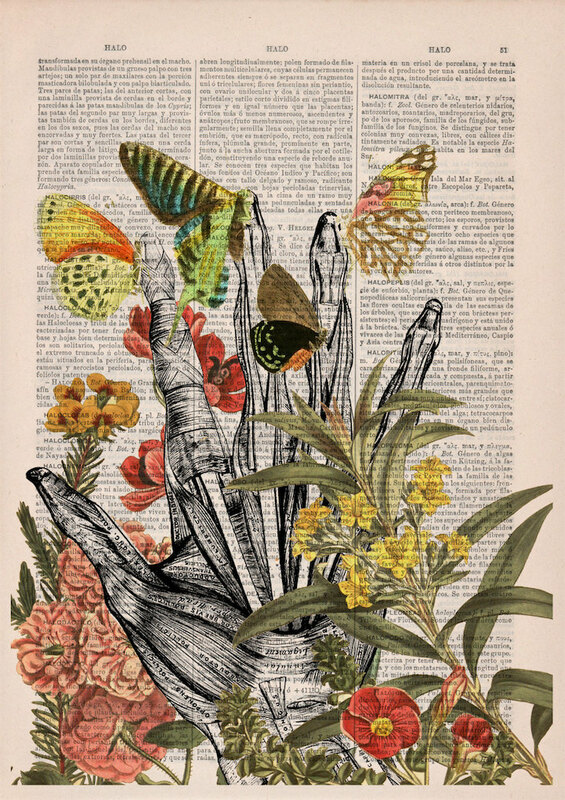 With such an ecological focus, it’s no surprise that PRRINT’s designs are often heavily inspired by nature. 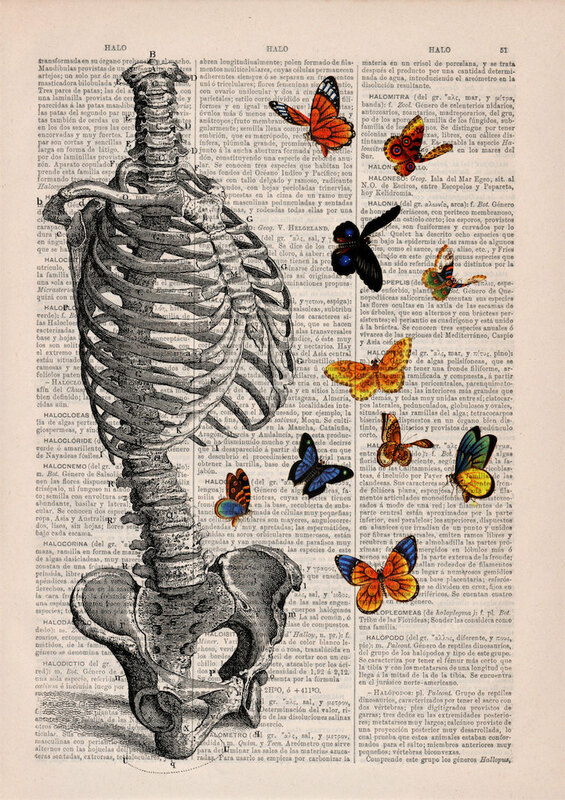 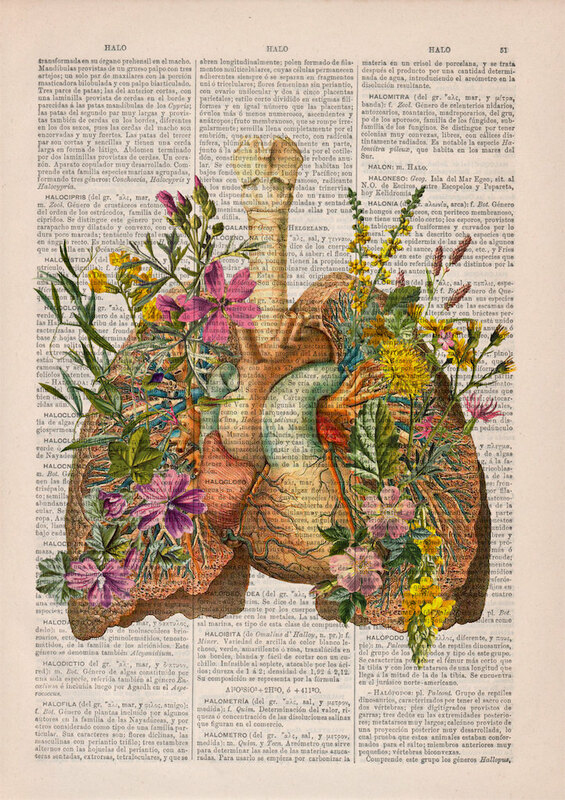 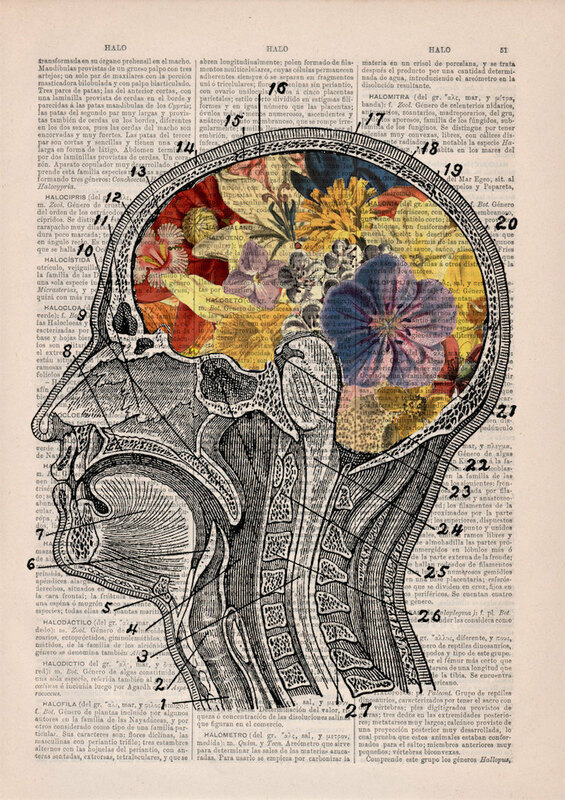 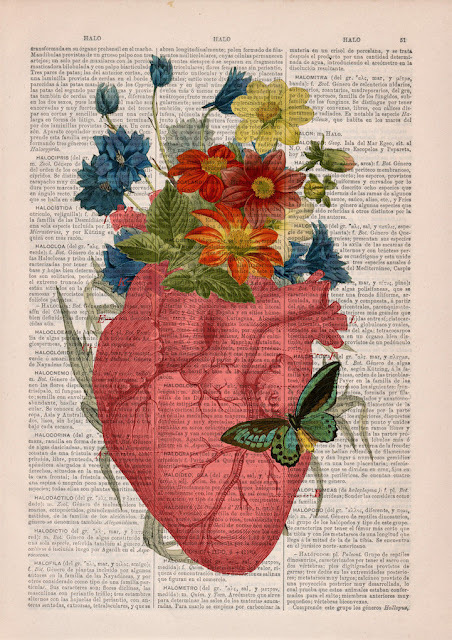 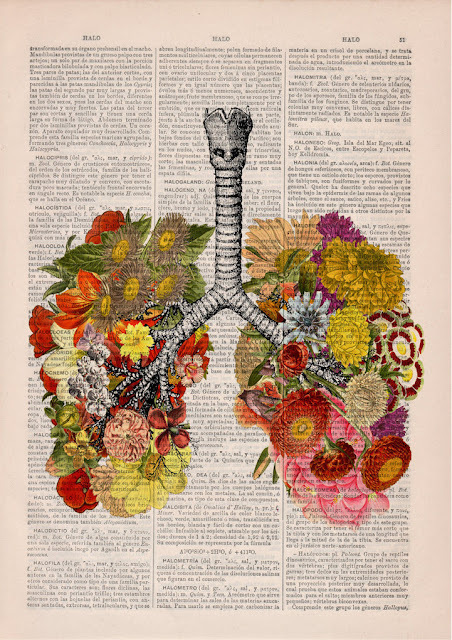 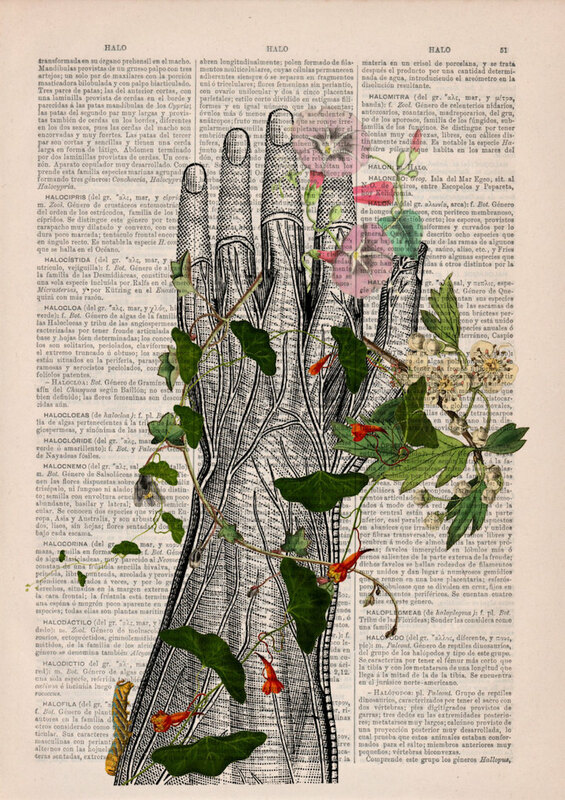 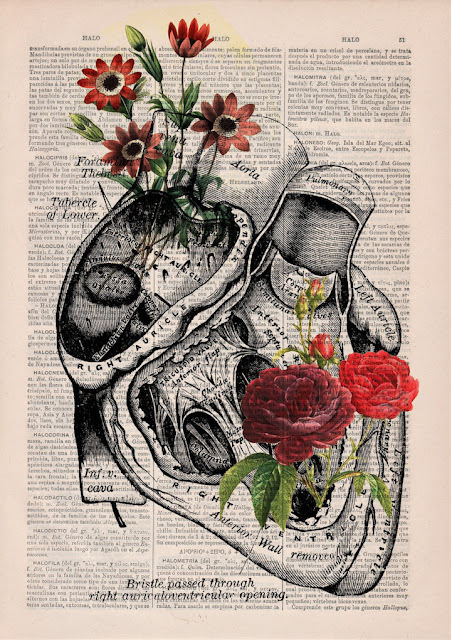 In this series of prints, leafs from an old dictionary are overlaid with collages comprising beautiful floral illustrations and detailed anatomical sketches. 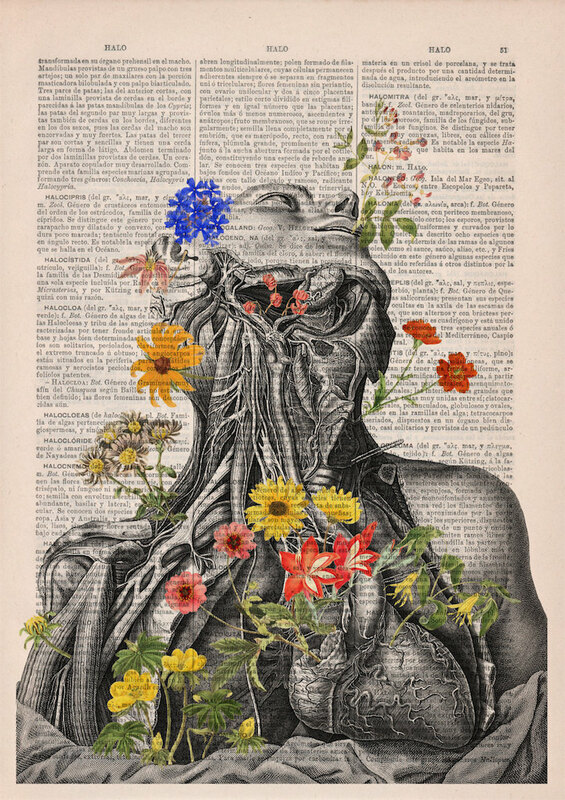 Although the cheerful colors and graceful rendering of the flowers juxtapose the unidealized and graphic studies of the human body, the forms are harmoniously cohesive—vines twist around a hand, wildflowers pose as a pair of lungs, and butterflies flutter by a skeleton. Surprisingly, the text-heavy backdrops do not distract from the images; rather, the faded letters and warm tones of the pages complement the vintage aesthetic and bold lines of each graphic.